Bringing the family to Doral, Kendall, Hialeah, or Miami? You may need some extra room, which is where the 2019 Toyota Highlander is your ideal ride. With three rows of seating, extra cargo space, and a variety of technology features, the 2019 Highlander will provide you with all the bells and whistles on your adventures around South Florida. To give you the most up-to-date information on the 2019 model, our team at Doral Toyota has put together this review. Read through all the details right here, and find out how you can test drive a Highlander today! When looking for a large SUV, you’ll want to be sure that there’s plenty of space for passengers of all sizes. The 2019 Toyota Highlander offers tons of room with seating for up to eight passengers, depending on whether you choose the second-row bench or captain’s chairs. With comfort also comes style, and the Highlander isn’t your typical soccer mom cruiser. 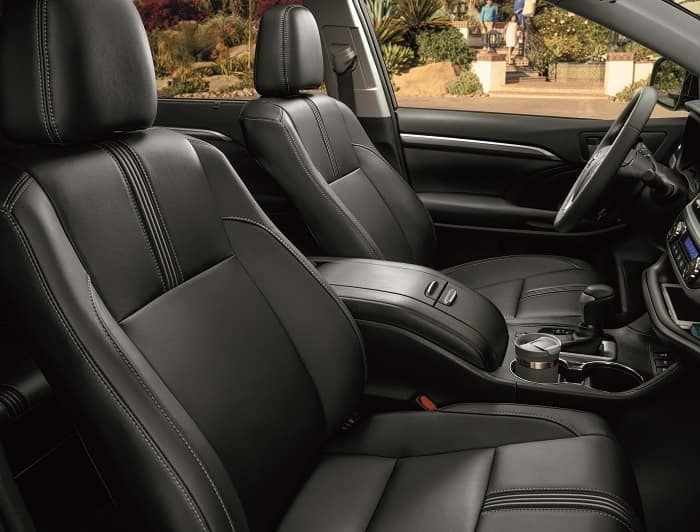 You’ll find available leather upholstery, along with heated front- and second-row seats. The third row is easily accessible, too, thanks to the sliding second row. Plenty of passenger space means you might need some extra room in the trunk. With the third row folded, the Highlander will give you 42.3 ft3 of cargo space; fold down the second row as well, and you’ll open up to an impressive 83.7 ft3, which is plenty of space to buy that piece of furniture you’ve had your eye on! Under the hood of the 2019 Highlander, you’ll find a base 2.7L 4-cylinder engine that puts out 185 horsepower and 184 lb-ft of torque. If that’s not enough power, opt for the 3.5L V6 engine, which puts out 295 horsepower and 263 lb-ft of torque. If fuel economy is a deciding factor when choosing a large SUV, the Highlander excels in its class. With the V6 engine, you’ll achieve an EPA-estimated 20/27 MPG city/highway – so you’ll finally be able to bypass those rest stops on the way to your next family vacation spot! Speaking of family vacations, you might want to bring something extra along with you, which is where the Highlander’s towing capacity comes into play. Pull up to 1,500 pounds when properly equipped, and you’ll see how the Highlander can help to make your getaways even more fun. The Toyota Highlander offers plenty of technology features that will keep you and your family both safe and entertained on the road. A 6.1-inch touchscreen infotainment system comes standard, and includes Bluetooth® accessibility and five USB ports, so you’ll always be connected to your smartphone music and apps. With features like these, you’ll find an extra sense of security for you and your loved ones on your daily drives. 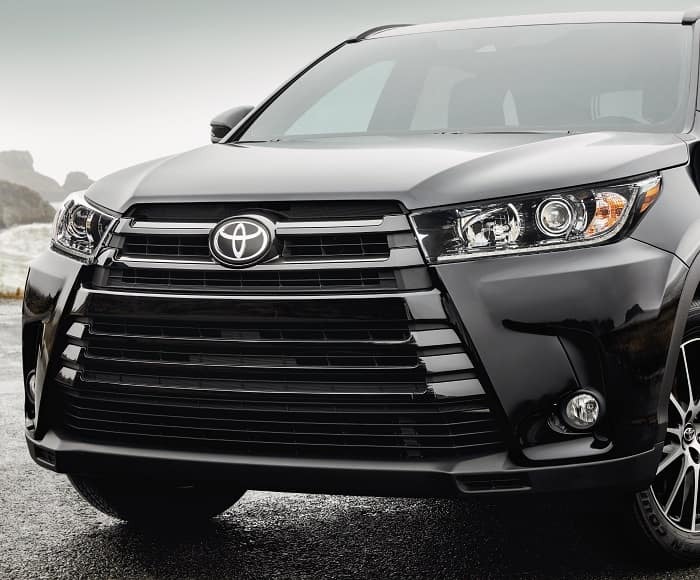 We hope you’ve enjoyed this review of the 2019 Toyota Highlander. If you think this might be the right SUV for your Doral, Miami, Hialeah, and Kendall drives, contact us at Doral Toyota to schedule a test drive int eh South Florida area today!